How do I check the versions of firmware in my Soundweb Devices? 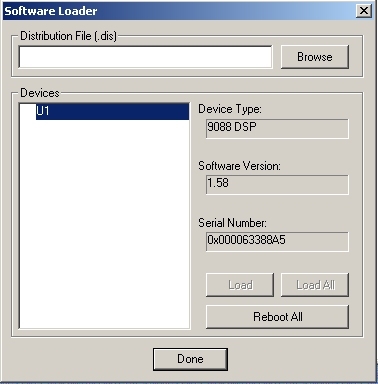 When on-line with Soundweb Designer, there are two ways to check what firmware versions are currently loaded into a Soundweb Device. When you go 'ONLINE' the PC finds the devices. When you have loaded the devices with the design, the list shown in the window will report their names, device type and firmware versions. You will need to go through the motions of loading new firmware. 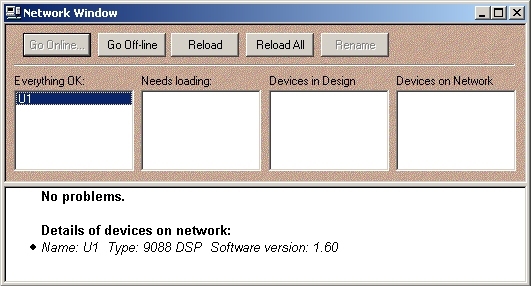 With the ONLINE window open, select Tools > Load Software... from the main menu bar. You will be presented with a dialog box to load firmware. Select the device to load and it's current firmware version will be displayed.